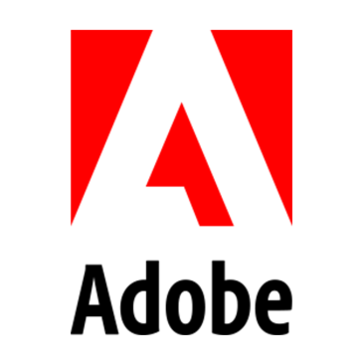 Animation software enables users to generate moving graphics from visual files. Depending on the particular program, users can animate some variation of 2D, 3D, hand-drawn or computer generated graphics, often with the option to add music or additional effects. These programs are most commonly used by animators working on films, TV shows, and commercials, as well as graphic designers creating promotional materials and website media for various industries. Animation software platforms may integrate with drawing software, video editing software or 3D modeling software. Artists and freelancers can use the best free video editing software and free animation software together to create their video animations on a budget. Animation reviews by real, verified users. Find unbiased ratings on user satisfaction, features, and price based on the most reviews available anywhere. Vyond lets you create videos easily with our library of templates, sounds, props, and so much more. Move your audience to action. 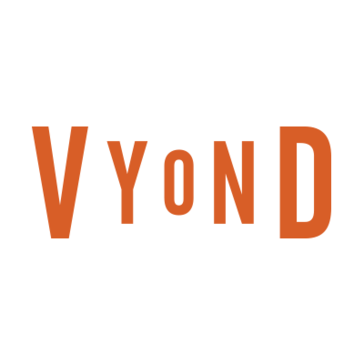 Increase engagement, retention, motivation, and conversion using rich media made simply with Vyond. Vyond is changing the way the world communicates, one video at a time. Animaker is a Palo Alto, CA based, Fastest Growing, Do-It-Yourself, animated visual content creation platform on cloud. With the world’s largest library of animated assets, Animaker helps over 3.5 million users from 180 countries. Animaker users create visual content of studio quality, in quicktime, in any language & without much training or external guidance. Enterprises use it to convert boring financial data into visually appealing Infographic Videos. Entrepreneurs use it to convert lifeless textual content into exciting 2D Animated Explainer Videos. Students use it to create visually appealing Presentation Videos. Millennials use it to create fun filled Vertical Videos (Mobile). OpenToonz is software for producing a 2D animation. It is based on the software "Toonz", which was developed by Digital Video S.p.A. in Italy, customized by Studio Ghibli, and has been used for creating its works for many years. Dwango launches this OpenToonz project, in cooperation with Digital Video and Studio Ghibli. Biteable is an online video and animation maker. DigiCel FlipBook Makes Animation Easier! Spine is 2D skeletal animation software for video games. HUE Animation is a stop motion animation software for Windows and Mac OS X.
iStopMotion to create stop-motion animations and time-lapse videos on the Mac, use in the classroom and in all disciplines. Moho is a tool that create animation from start to end, it has a 2D rigging system of the market and mix it with traditional animation tools to make amazing, professional animations. Muvizu is an animation software designed to allow users to make 3D animated movies on home computers. Raw Shorts makes it easy for any business to make an animated video with video templates and an easy to use drag and drop interface. Viddyoze is a web-based in-video animation software. Animated video is a compelling way to quickly and memorably convey complicated information. Animation Desk supports 3 layers of drawing. Give some mix-and-match to your animation works by blending some real scenes in it. You can also import a video to a layer to enrich your work. Unleash your creativity every day with the entire collection of Kdan Creative App Series, premium online services, and 1TB cloud storage. ASK-EHS helps create animated safety movies, videos replicating actual accidents and near-miss incidents designed to help workers understand them with consummate ease. Canvas is a project to simplify iOS development for both designers and developers. CoreAnimator is an visual tool for creating animations on iOS and Mac. DigiTechMark is an animation production house and full-service creative, digital and technical marketing agency. Dragonframe Software is a stop motion animation software. 3D modeling, animation, photorealistic rendering, photorealistic VR content creation, CAD/CAM, 3D printing, laser-cutting and much more! 3d modeling and animation software. The smart way for anyone to animate characters and environments. Whether you’re an aspiring cartoonist or just want to make captivating visual content for your brand, the animation programs featured in this category can help. Animation software does require a certain level of skill to create animations with even the most user-friendly interface—you should not expect these applications to take your animated movies from concept to completion. If you have a graphic designer, visual artist, or seasoned animator on your team you are already ahead of the curve. 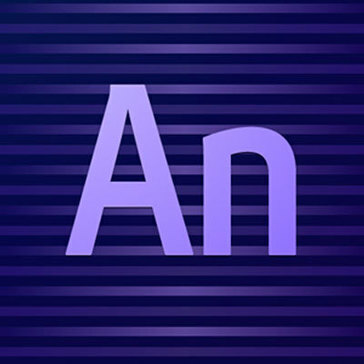 But even without one, if you follow tutorials and dedicate the time, these tools can help you animate characters and produce motion graphics you never thought possible. You’ve likely seen animated videos or movies that utilized one of the tools featured here. Some are more advanced than others, which can be reflected in the price, branding, or standard features. As with other software categories, your animation maker may offer new effects or capabilities based on your financial investment. For a basic animation video, though, the standard version included with most of these solutions should provide the requisite features to create quality content. There are even a number of free animation tools that can help you create animated projects with zero financial commitment, except for the labor involved. Animated material may seem like a niche business focus, and until recently it was much less common across many industries. But if you’ve seen an explainer video or whiteboard animation on a random company’s website, it could explain this software’s rising demand. Hand-drawn animation or computer-animated cartoons are no longer just for movies and television shows. An informative video with animation effects is now a valuable asset for promoting brands and spreading awareness of products or services. This content allows you to explain complex processes or mission statements with colorful special effects, and is readily shareable on social networks and popular video hosting platforms. Animated images are a distinctly modern form of marketing collateral and customer engagement that are fun for both the creators and the viewers. Of course, once you or someone on your team masters an animation tool, these skills can be used to animate characters and stories for pure entertainment. Animation has never been more popular of a medium among children and adults alike. Your future studio can begin at your work desk, bringing motion to your brand’s drawings and ideas for the benefit of educating and inspiring business decisions from a larger audience. The fruit of animation platforms, from “onion skinning" 2D models to beautiful whiteboard animation videos, can be alluring to just about anyone within your organization. Thanks to some of the best free animation software, there’s nothing stopping your CEO or your sales team from getting involved with character animation or wanting to create some basic layers of cartoon effects. With that being said, there are certain individuals or departments who are a more natural use case for digital animation studios. Content – The creativity engine in your organization not only has the most obvious benefits from visual effects such as animation, but likely employs individuals with a head start on graphic design or art-minded interests. If you have a blog or an online video channel, or you just desire an interactive, eye-catching website, your content team can supplement your output by working with an animation software solution. There is overwhelming evidence that content is more effective with a visual element—as much as 650 percent more effective1. Animated visuals can open new doors for your content team and take your branded content to an entirely new level of quality. Marketing – Depending on the structure of your organization, marketing efforts may be closely tied to other content initiatives. In any case, marketing with help from animation software is powerful, memorable way to reach both previous customers and future ones. This can come in the form of shareable videos in your promotional materials, sprinkled throughout your website, or digital advertising campaigns with a notable element of animation. Consider how you would respond to animated marketing as opposed to more traditional content, and the potential benefits could become obvious. Product – The focus of your product team hinges on a number of factors related to your company’s overall mission and structure. Between user experience and tutorials and general website or application content, visual and design efforts may already be a daily concern in this department’s frame of mind. Integrating animation into the product team’s arsenal can be an injection of creativity and possibilities toward the long list of projects on their plate. Production studios – Creative agencies, such as video production companies and graphic design services providers, have a revolving door of projects that can require or directly benefit from publishing tools such as these. For a successful company in this vein, it is beneficial to at least have the option and knowledge of animation in the event a certain situation calls for it, or the perfect opportunity arises for an animated component. Video game development is a direct relative of animation; companies are prone to hire designers and developers well-versed in this branch of video software. Finally, film production companies will increasingly go beyond standard filming and video editing in their expertise; animated films and television shows are more popular than ever and owe much of their success to the evolution and availability of animation platforms like the ones featured in this category. If the artistic and visually minded members of your team are interested in animation technology, you should also consider 3D design software solutions. The three main categories in this parent—3D modeling software, 3D painting software, and 3D rendering software—work hand in hand to generate complex, eye-popping objects and scenes. Objects, landscapes, and characters created with this software can then be used in an 3D animator tool to make studio-quality animations with fully realized, three-dimensional components. You should leverage audio editing software to work in the perfect music, sound effects, and voices. Uploading the project into a video editing software will allow you to crop and refine the content as desired, while a video effects software enables you to tweak the visuals in a number of ways for added effect. Finally, you may seek out a video hosting platform on which to upload, store, and share your finished project. If you’re seeking an animated video to elevate a particular project or drive home an announcement with your audience, but don’t want to invest in or learn new software, you can enlist a creative services provider. Research the best video production and graphic design companies in your area through a web search or by scrolling these categories on G2 Crowd. If you find a trustworthy local company that offers animated content, reach out to discuss your particular needs to see if they can help. Hi there! Can I help you find the best Animation solutions?